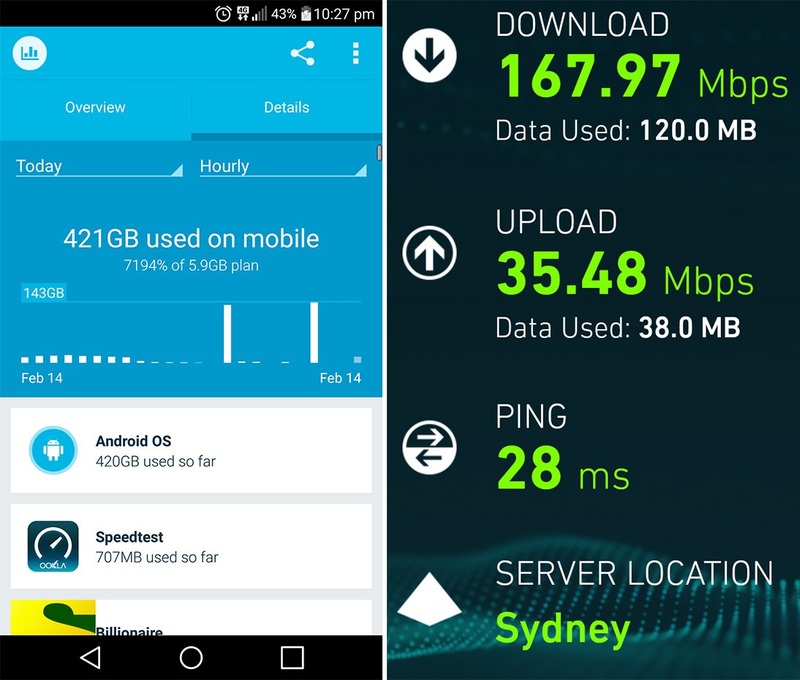 Australian telecom operator Telstra offered a free mobile data day, and there was one user that certainly took them on that offer, downloading over 420GB in 24h. As a way to compensate their customers over a network outage during the week, Telstra announced a "Free Mobile Data Sunday" where everyone could use as much data as they wanted. The initiative was a success, with customers using over 1.8PB of data, double of what would be the normal amount for a Sunday. But the most curious part is that a single user gobbled up 421GB of data. ... More surprisingly, Telstra seems to have let him done so without enforcing any "acceptable use" clause. Which is kind of a good thing, as it allows them to come out of this initiative unscathed. But in any case, I think next time they decide to repeat a free mobile data day, it's almost certain they'll include some sort of limit to prevent this sort of (ab)use.